In the Game Design major at Columbia College Chicago, you’ll design games and simulations in terms of gameplay, narrative, and user experience. 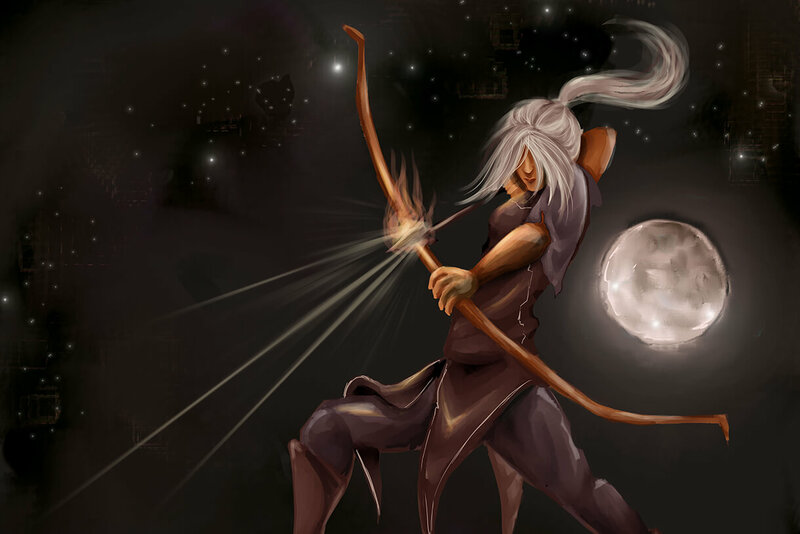 Mastering a creative skill takes a tremendous amount of practice. That’s why you’ll make games in nearly every gaming class at Columbia and build your skillset over time. And you’ll learn from some of the best—our talented faculty members are experienced professionals who bring their passion for games into the classroom. In your final year, you’ll develop an entire finished game product with other game-related majors in a capstone experience we’ve designed to mirror the professional game-industry production model. Students in the Game Design major choose one of two concentrations: Game Development or Sound Design. In this concentration, you’ll develop as a designer. As a designer, you’ll be trained in personal organization and self-leadership. Self-leadership means the ability to listen, make a decision, and apply the critical values and virtues of a confident, tasteful professional. You’ll also apply your growth as a personal leader to multiple team settings. Dive deep into team processes like Agile or Lean, and emulate best team practices like the “team of teams” style used at Naughty Dog and the “vertical T-style” team practice used at Valve. Finally, as a designer, you will learn to think like a designer: understand systems, learn to make trade-offs, and develop your own singular voice as a creative professional. If you’re more interested in the programming side of creating games, take a look at our bachelor’s degree program in Game Programming. Game sound is about more than placing a great song in a game; it’s about building emotion and impact through audio, whether that’s the explosive noise of a gun blast or the subtle sound of an empty room. You’ll learn both music theory and scripting skills, and acquire advanced knowledge of acoustics and digital audio, studio production technology and techniques, and the aesthetics of sound. Because sound is a concept that crosses department lines, you’ll take courses with other sound students from the Interactive Arts and Media Department, the Music Department, and the Audio Arts and Acoustics Department. 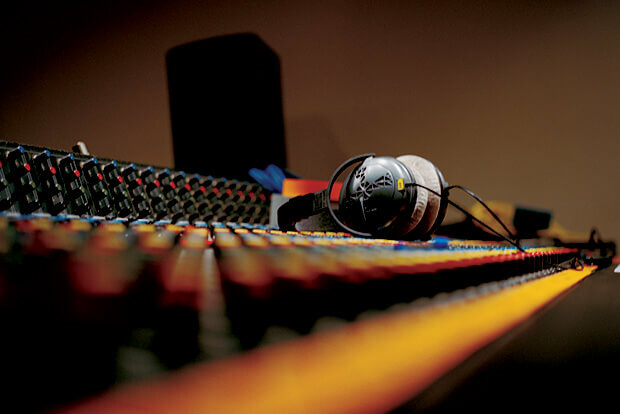 When you graduate, you’ll be prepared to work in a professional sound-design environment. 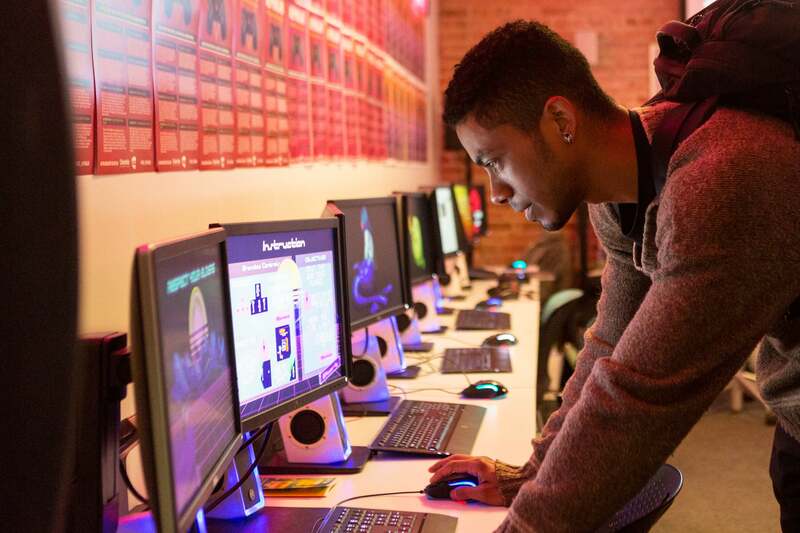 In your first semester at Columbia College Chicago, you’ll take Intro to Game Development, a requirement for all students in Interactive Arts and Media game programs. This course identifies the characteristics of the different game genres and the career paths in the industry. You’ll learn what differentiates game artists, designers, programmers, sound artists, and everything in between, so you can choose the program that best suits your interests. You’ll hit the ground running, learning core theory and immediately putting it into practice. For instance, you’ll learn foundational theories and practices in interaction and development and then build your skills through practical assignments like sketching, prototyping, and designing as you study the fundamentals of 3D game art creation. As a senior, you’ll take part in our two-semester, cross-program capstone course. If you’re in the Game Development concentration, you’ll take part in a team capstone project that ends in a finished and playable game. Sound Design students create their own version of a sound design production company, providing the sound, dialogue, and music for the capstone games. This isn’t your average senior project. Developed by our faculty members to mirror the gaming-industry production model, the capstone allows you to work in small (Indie Game Studio) or large (Large Team Game Studio) groups to develop a game. Over the course of two semesters, you and your team will pitch the initial concepts, design all the necessary art and sound assets, test prototypes, and deliver a playable game. In a collaborative team of seniors in Game Art, Game Design, Game Programming, and Game Sound, you make the creative decisions, divide up the work, and manage the project. As you build the game you might even bring in expertise from other Columbia students who study film, acting, voiceover, or creative writing. Our faculty members are there to supervise the course, but this is a student-led project that requires professional-level work and commitment. At the end of the year, you’ll have portfolio-ready pieces that will help you launch a career in the game industry. The Game Developers Conference (GDC) in San Francisco: the world’s largest professionals-only game industry event. The Chicago Toy and Game Fair: Indie Team Game Studio students are required to show there each year. Industry Night and Manifest: Every year the Interactive Arts and Media Department hosts industry professionals from across the country at Industry Night, an opportunity for graduating seniors to show their work and network with potential employers. The day after Industry Night is Manifest, Columbia's college-wide celebration of student work where you'll find game students displaying their work to their fellow students, faculty, staff, and other members of the Columbia community. IAM: Student Work from Columbia College Chicago on Vimeo. Game Design alumni find work at a variety of small and large firms in the gaming and entertainment industries. Firms students work at include Bungie, Jellyvision, Raven Software, Robomodo, and Skywalker Sound. We also have alumni who build simulations for major companies like John Deere and Walmart. Our faculty members are working professionals and experts in the field. They’re award-winning game designers, accomplished audio artists, and expert programmers. They’re dedicated teachers, bringing their knowledge of groundbreaking theories and techniques into the classroom.